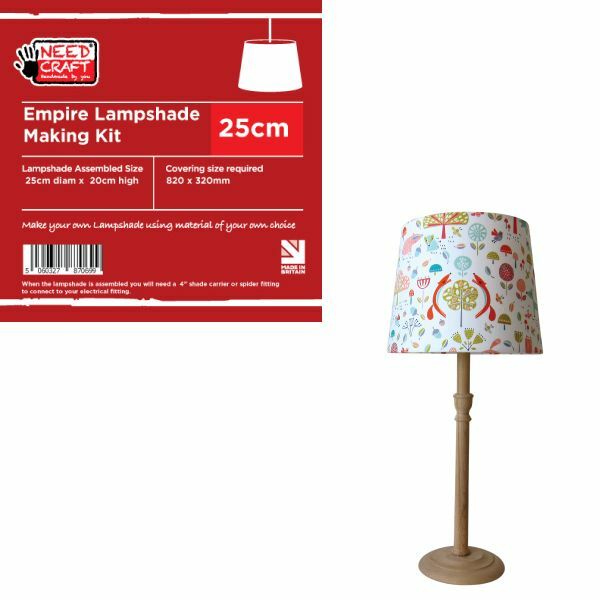 This Kit will make a 25cm Empire style lampshade from the covering of your choice.which can be used as a Pendant or with a Table Lamp when used with a Spider Fitting or Shade Carrier. 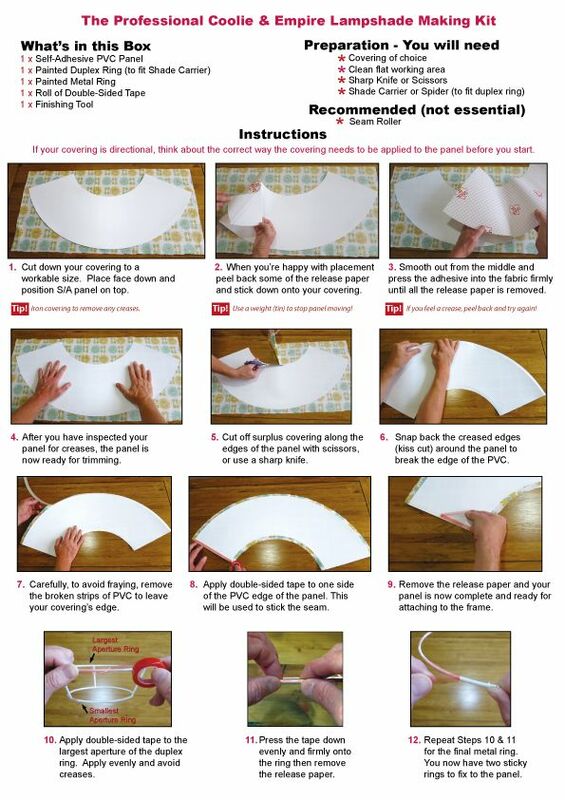 Easy to use, laminate your covering to the self-adhesive lampshade panel and follow the step by step instructions. If you would like to view our video tutorial click on the link below. What size will my covering need to be? 1 x Self-adhesive lampshade panel, includes 13mm kiss cut. We recommend the use of low energy bulbs with your lampshades. They use less energy and are cool to the touch, avoiding the problem of scorching shades and ceilings. Our lampshade materials have been tested and passed the glow wire test carried out by the Lighting Association. Contact us for test certificates. 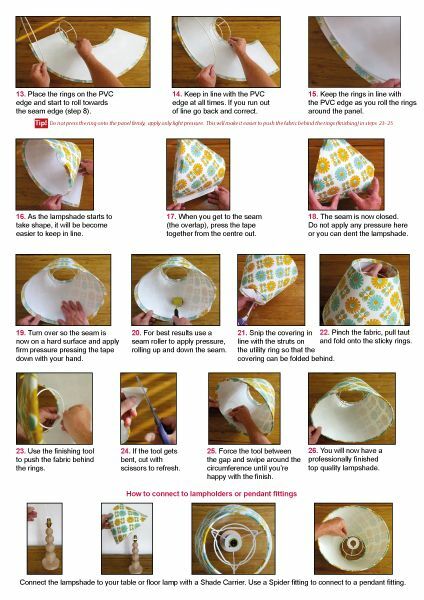 When the lampshade is assembled, you will need a shade carrier or spider fitting to connect to your lamp-holder. Use a 4" Shade Carrier to connect to your lamp base. 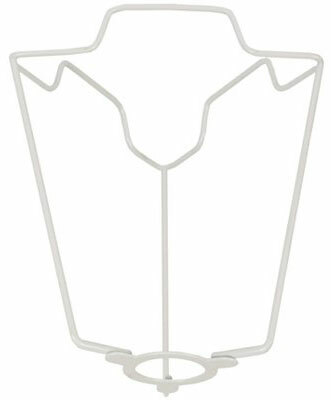 Use a standard Spider fitting to connect the lampshade to the lamp holder on the ceiling rose.